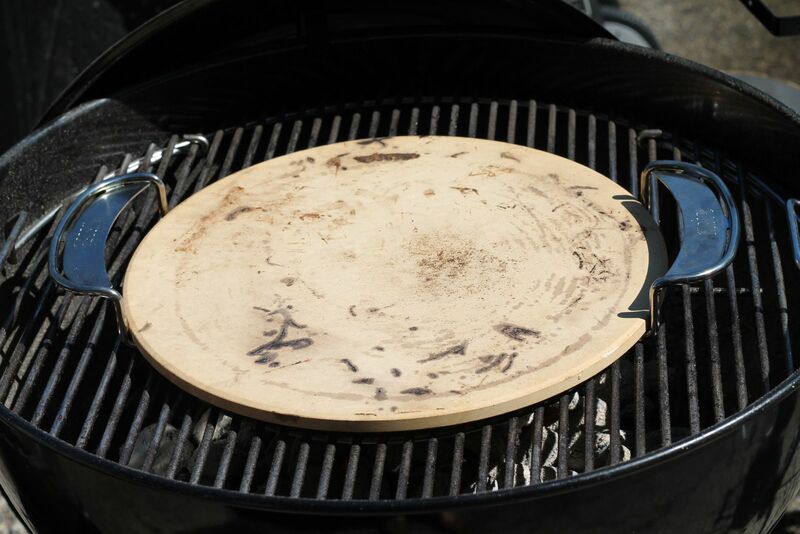 Many people are surprised to learn you can cook a pizza on the grill. Sometimes you just need the right accessory to make it happen. 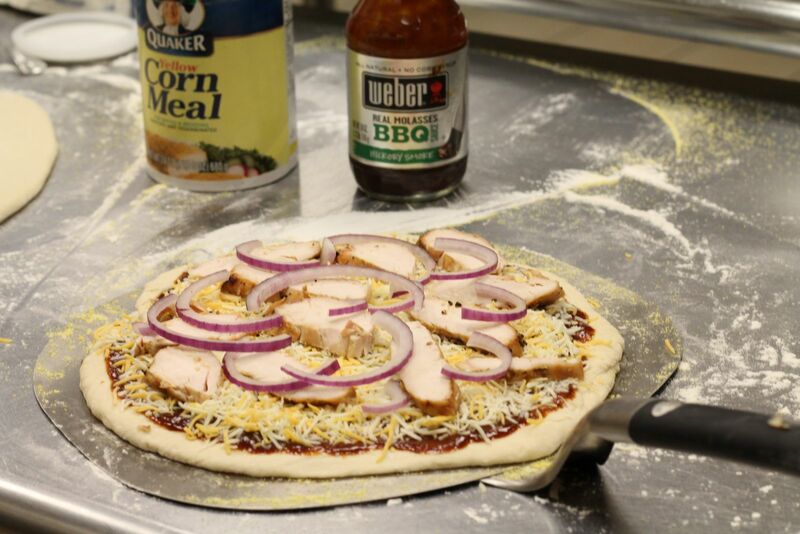 We suggest using the Weber Gourmet Barbecue System’s pizza stone when grilling pizzas. I buy fresh pizza dough from the grocery store and let it sit out at room temperature about 30 minutes before rolling it out on a well-floured countertop. 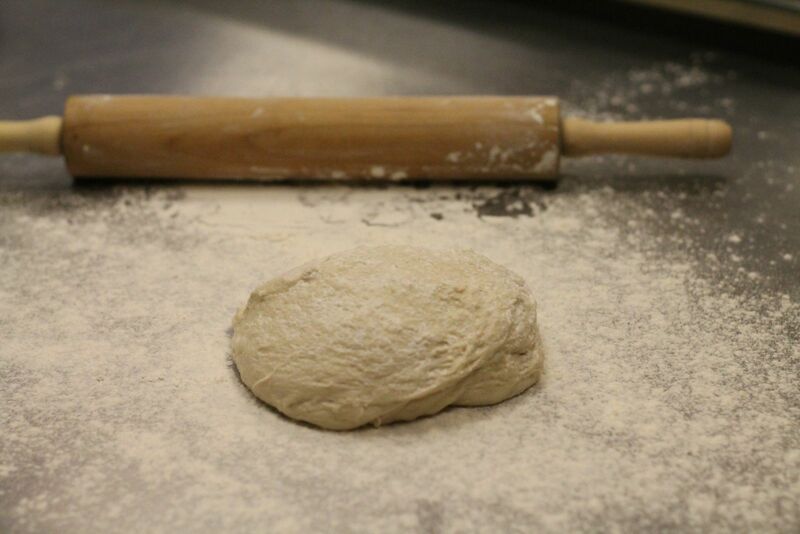 Don’t worry about rolling the dough into a perfect circle. If it’s misshapen just tell your friends its “rustic” pizza. 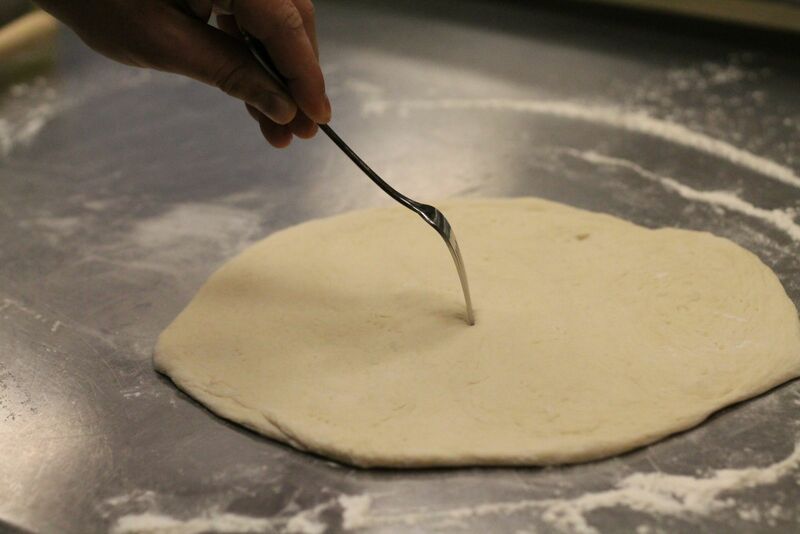 Roll the dough to about 1/8-1/4” thickness and poke a few holes in it with a fork. This will help prevent the dough from bubbling up when it hits the hot grill. Sprinkle a generous amount of corn meal on a pizza paddle and lay the pizza dough on top. 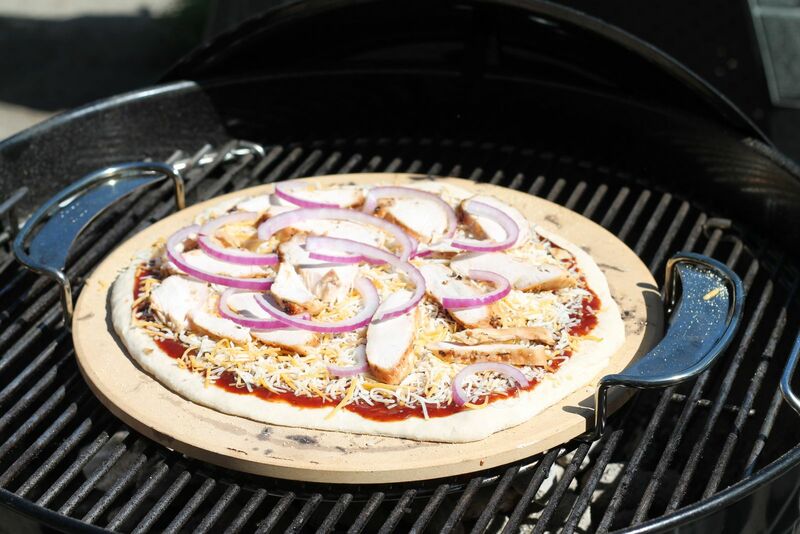 Top the pizza with whatever toppings you like – my recent favorites are barbecue sauce, grilled chicken, cheddar and mozzarella cheese and sliced red onions. Preheat the stone on the grill for about 10-15 minutes. Then carefully slide the pizza off the paddle and onto the stone. Close the lid of the grill and let the pizza cook for about 10-12 minutes or until the dough is cooked through and the cheese is melted and golden-brown.